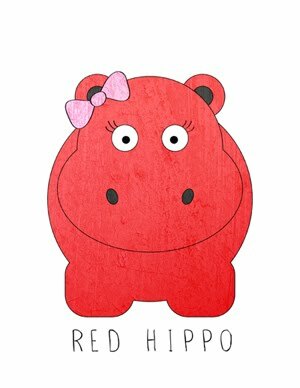 Red Hippo: Easton is SEVEN. I don't get it. I don't understand how a child can grow up so fast. I feel totally proud and shattered at the same time. Easton began first grade a few weeks ago- he wakes up before me, gets himself into the shower, does his hair...all before I have brushed my teeth. He may as well start shaving while he's at it. Easton still has the most tender heart of any child I have ever met. He cares so deeply about his people. He comes running every time he hears me throw up (pregnancy "morning sickness" is still a thing in the third trimester...) and rubs my back, and asks me if i need anything. He loves being around his family... he just loves spending time with us all day- and would genuinely prefer to be with his mama and daddy over almost anyone else...except maybe Hollace. His favorite past time is school recess- where, he informs me, he plays soccer everyday. He likes oatmeal in the morning with brown sugar (obviously) and milk. He gets excited about the EXACT OPPOSITE things that I get excited about...like selling fundraiser goods for school so he can earn prizes (I'm feeling like a very bad mama for not encouraging his entrepreneurship...but seriously, fundraisers are the worst). He decided to put on his own garage sale a couple of months ago... he earned six dollars, 100% of which was from the neighbors across the street and next door- who "bought" a few of his toys. Easton is observant, and analytical. He watches people (not in a creepy way). He decides what he thinks about a situation and doesn't wait for his parents to tell him what they think. He prays for people he loves...every single night. He prays for his Grandma to be safe, for his auntie to be a "good mommy," for his daddy to have a good day at work, and for his mama to stop throwing up. he asks God to make his baby sister healthy, and for his brother to have good dreams. Easton is a lover of people. He is everything I'd hoped he'd be...and more. 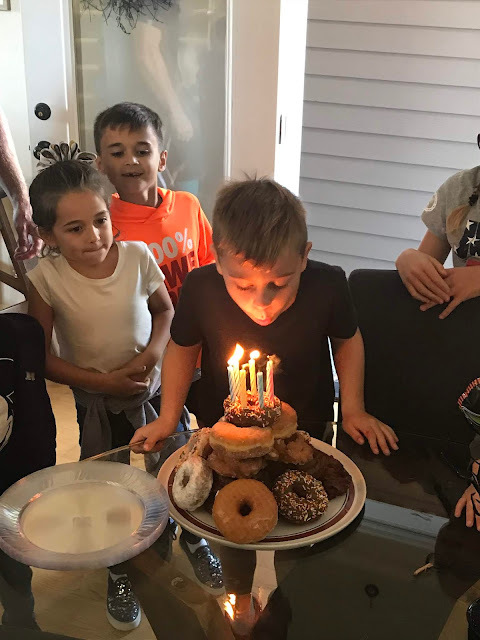 happy seven, little muffin. you make my heart sing.